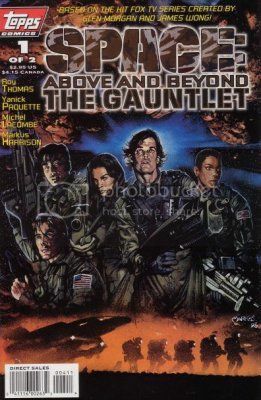 Just got done with the 2 issue Space: Above and Beyond - The Gauntlet, by Topps tonight. Thought it was 4 issues, but got it mixed up with some other comics. . .
Space: Above and Beyond was a short-lived (one season) Fox T.V. show in the 90's that focused on a squadron of U.S. Marine Corps space fighter pilots during a war with insect-like alien invaders known as "Chigs". It was pretty gritty and realistic and still holds up fairly well if you can ignore the 90's-Tastic CGI effects. As a former Marine myself, I was a big fan and hated to see it go after only one season. . .especially since they ended it on a cliffhanger! Overall, this two-shot doesn't capture the feel of the T.V. show at all. The art is average to borderline bad. The story is by the numbers and fairly dull. I was pretty disappointed by the whole thing. Just binge the single season of Space: Above and Beyond instead. This is hardly worth the time it takes to read it. It's true Longbox Junk. Since this was sort of an accidental two-shot, how about a few more on purpose? Bite-size chunks of Hellboy, Friday the 13th, and Zorro! Just got done with some more two-shots tonight: Hellboy, Zorro, and Friday the 13th. . . 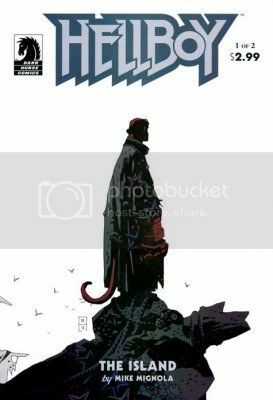 I'm a huge fan of Mignola's art, but I had a bit of a hard time getting through this one because of its reliance on established continuity from stories I hadn't read. If you aren't familiar with Hellboy, then I'd definitely suggest you don't start trying to get familiar with this two shot because it dumps you right into ongoing events. It's for established fans only. But hey. . .great Mignola art! So there's that. I'm a BIG Zorro fan. Between that and the throwback nature to the monster comics of the 70's that I ALSO love, I really liked this two shot. It was a little too wordy in places and Dracula was defeated with a handy plot device in a laughable way, but this was all pretty good fun. If you're a Zorro fan or love those old monster comics, you're definitely going to want to check this out. I like the idea that Camp Crystal Lake has a bloody curse on it from the past that carries on to the present day, but the execution in telling the tale wasn't that great. This story is definitely for Friday the 13th fans only. I really can't think of anyone else who would be even slightly interested. 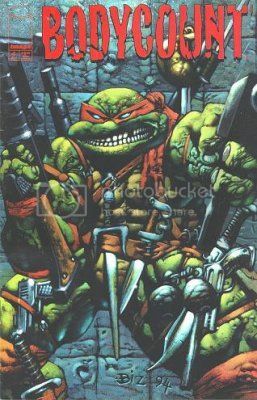 It's the Teenage Mutant Ninja Turtles we all loved as kids. . .but with guns, blood, and Simon Bisley! Image's 4 issue "Bodycount" mini. Just finished up with Image's 4 issue "Bodycount" mini tonight. . . I can think of no other reason for this unusual story to exist other than as Kevin Eastman raising a 4 issue middle finger to the critics who wanted the Ninja Turtles to be more violent. Given that theory, it succeeds brilliantly. There's been nothing this bloody and violent that I know of connected to the turtles since. 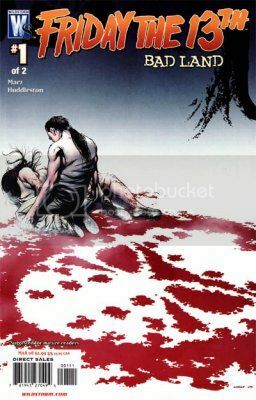 Furthermore, his choice of artist for this ultra-violent story in Simon Bisley was inspired and perfect. Overall, once I realized what the true purpose of this mini was (probably. . .once again, just my own theory), I enjoyed it. I wouldn't suggest it to anyone easily offended, but if you're not one of those people who need safe spaces over a lost election, take a look at this strange little artifact from the 90's. Fans of Simon Bisley will want to check this out regardless. 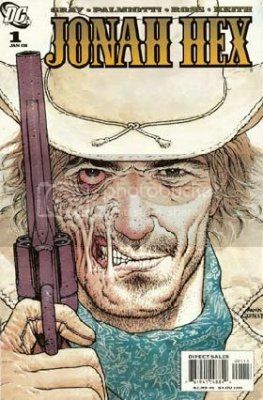 Someone asked where the blog post was on the SEVENTY ISSUES of Jonah Hex I reviewed was at, and I realized I didn't make one. So let's fix that with a heapin' helpin' of the crustiest bounty hunter to ever ride the range. . .the one and only Jonah Hex! Maybe that was harsh. It's not worthless. It would be helpful if you posted pictures because I am more likely to recognize a comic by the cover. Words are so complicated. i like pictures. Well. . .since I talk about the covers in some of the reviews, why not? Good idea! At least a couple covers anyway. Might get a bit much on some of the full runs. I don't think the mods would appreciate me posting 20+ covers in one forum post. . . Thanks! I just saw that you were posting on a series and I was thinking... I might own an issue from that series. If so the art stood out and I could have commented. I thought the #1 of Space Above & Beyond had a blue cover. Hmm! You're thinking of the 3 issue adaptation Topps did of the pilot episode. Okay. I didn't remember the second series. Actually, I read, updated, and reviewed these back in December but forgot to make a blog post on them. . .
All Seventy issues worth. . .that's a LOT of Jonah Hex to read in one shot, folks. So. . .32 issues of EL ZORRO! Just finished up with another forgotten blog post from December. 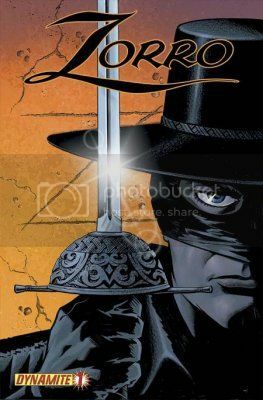 . .
Zorro is on the short list as one of my all-time favorite characters. Movies, T.V. shows, comics, novels. I love all things Zorro. . .so my standards are a little high as far as this character is concerned. . .and I'm happy to say that I was extremely pleased with the first 8 issues of this run and the re-told origin of Zorro. As far as I'm concerned, this is now the definitive origin of Zorro. . .the "Batman: Year One" of the character, as it were. 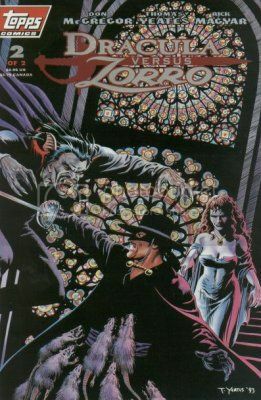 All in all, I enjoyed this series and if anybody needs an introduction to the character of Zorro, I would highly suggest starting right here, especially with the first 8 issues. Now that we've seen how good Zorro can be, how about seeing how bad it can get? Dynamite's 12 issue Zorro Rides Again!